GeoTracker is a plugin for Foundry Nuke that can be used for tracking rigid and deformable 3D models without the usual hassle associated with match-moving job. GeoTracker makes tracking tasks much easier, so what usually have been done by a team of motion tracking specialists can be done by one of them and with less time. 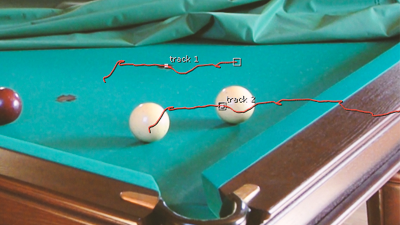 More than that, compositing artists could easily become tracking pros using GeoTracker, reducing the pipeline complexity. You can download Nuke projects and assets displayed in the showreel on our examples page. Our passion is to bring latest achievements of the scientific world to the production pipelines, meaning you have the best algorithms and approaches at hand when you use our tracking plugins. Speaking of the speed, we can't guarantee you the realtime tracking, but we are really close to it, so you wouldn't wait long. Our pin-based model positioning approach we invented for PinTool have proven its effectiveness and handiness over time, so we decided to stick with it in GeoTracker. Sometimes you need to track deformable 3D models. GeoTracker can help you with such tasks as well. You can also lock bones to restrict their movements. 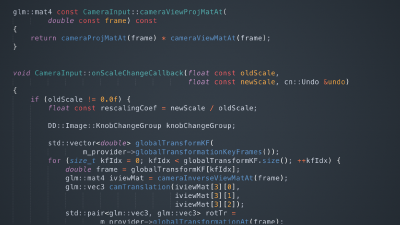 To import rigged models into Nuke you can use our free ReadRiggedGeo node. One of possible uses of GeoTracker is camera tracking. If you have a static object in the scene, you can track it and then you have a track of a camera. In pursuit of reducing the amount of work for our users, we added the Magic Keyframe function. It automatically aligns the model on the given frame. You can just place the model roughly, hit the button and then it will be positioned with the maximum precision possible. GeoTracker can also estimate the focal length of a camera when it's unknown. It can not only help you with tracking objects in footages filmed with unknown cameras, but also complement camera tracking results with focal length settings, even if it was changing over the filmed sequence. GeoTracker can improve its own tracking quality using tracking data from other trackers. For example, you can import tracks of Nuke's built-in Tracker node. You can mask out some polygons of the 3D model that you want to exclude from tracking. For example, some moving parts, windows with lots of reflections or displays with changing content, so they will not confuse GeoTracker. Our plugins are written with C++ using low-level Nuke API. So you can be sure you're working with tools with native-like experience.